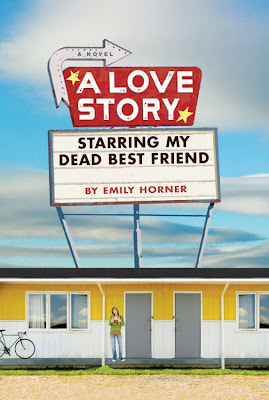 A Love Story Starring My Dead Best Friend is a story about friendship. About love. About traveling a thousand miles just to find yourself. About making peace with the past, and making sense of it. And it’s a story about the bloodiest high school musical one quiet suburb has ever seen. Oh man, I have coveted this book for months! Now that I finally have a copy my stupid resolution of not reading anything until I finish my homework is slowing down my reading rate massively! I'm in college darn it! This is not high school anymore! Don't mind me, I'm just mad at myself. But, but, but. When I do finish reading this book you WILL hear about it!